This year is about focusing on my skin. To try products and services that can help me achieve young, great looking skin. So I’m more than eager to try cleansers, toners, serums, moisturizers, creams, and everything else to achieve great skin this 2018. Heehee. 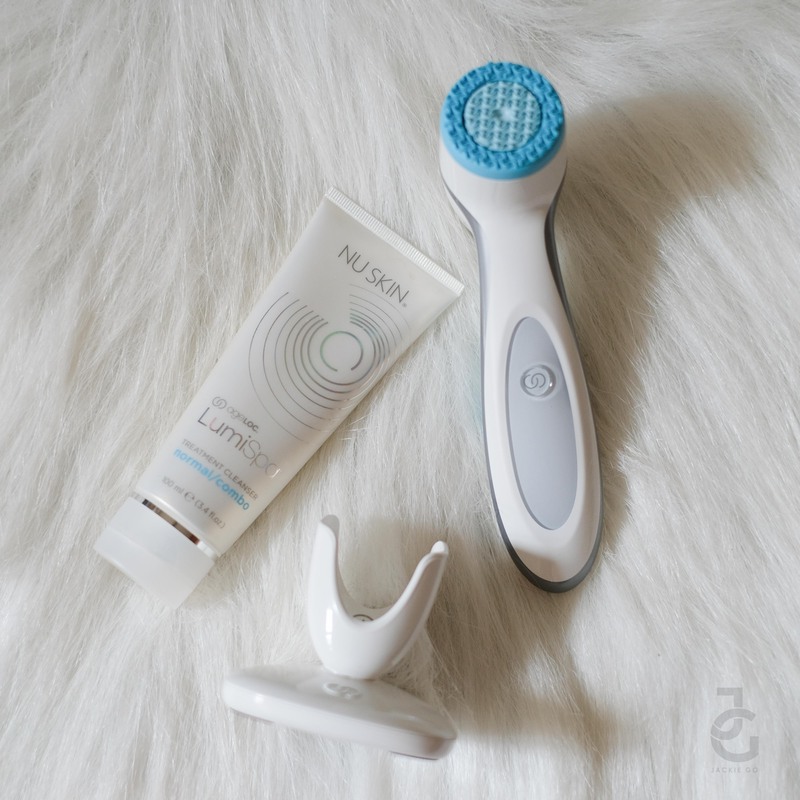 To start I tried the latest from Nu Skin, the AgeLOC LumiSpa. AgeLOC LumiSpa kit includes: AgeLOC handset, treatment head, charging base and power cord. You’ve probably read about AgeLOC here on my blog when I first tried it years ago. Anyway, I’ve tried their cleanser and was impressed on how nice it was! Now I’ve tried the newest from the AgeLOC line, the LumiSpa. 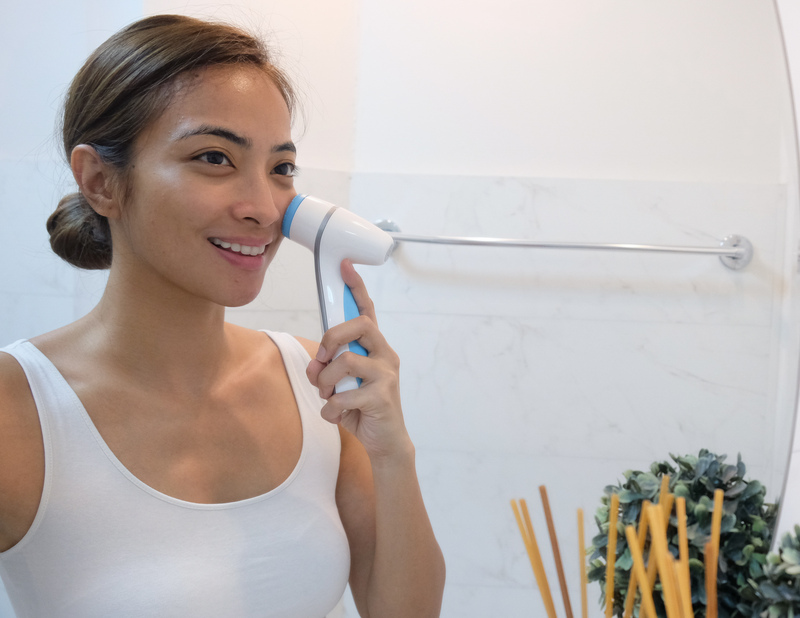 ageLOC LumiSpa is a dual-action skin care device that simultaneously provides a superior skin-perfecting treatment and deep cleansing benefits. It leaves skin smoother and softer after just one use and delivers seven skin benefits that increase over time. 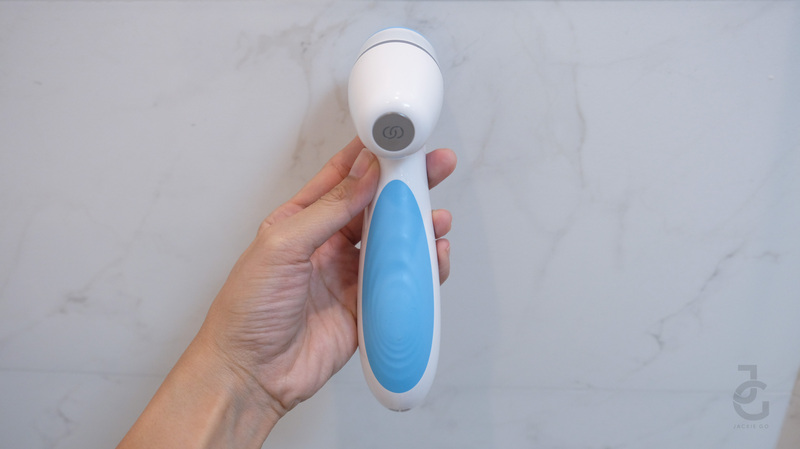 I was so thrilled to get first dibs of this new device that serves dual action: skin renewal & deep cleansing. 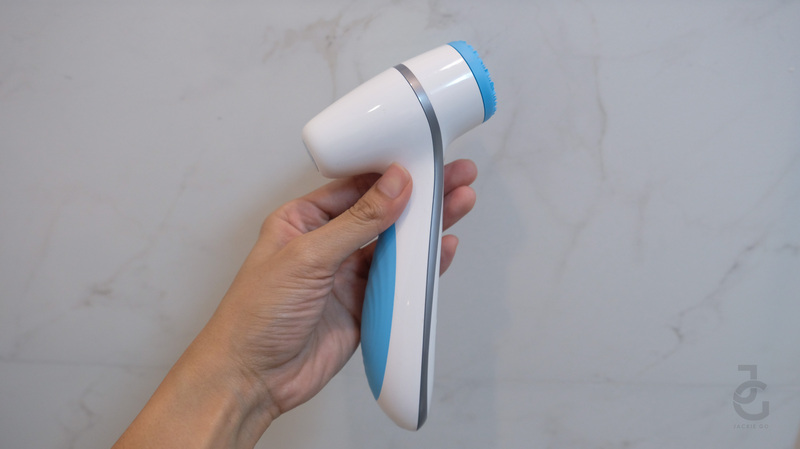 What makes it different from other cleansing device? It’s technology. It uses silicone treatment head with embedded silver. 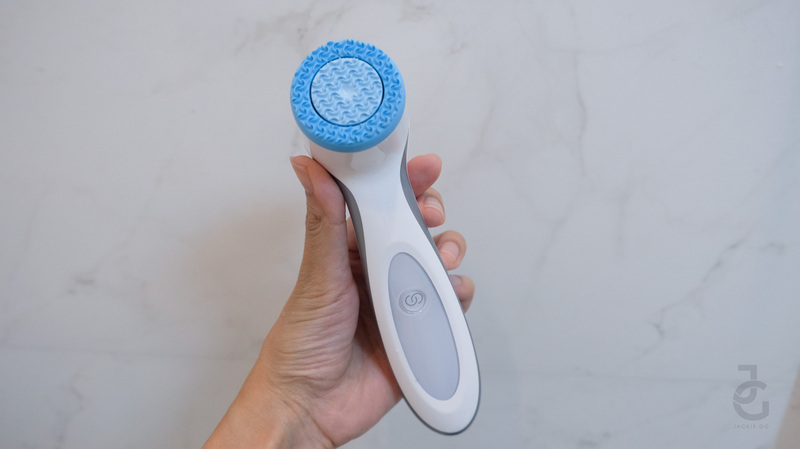 This plus the precise dual direction movement of the brush on the skin’s surface called micro pulse oscillation technology sets it apart from other cleansing device. 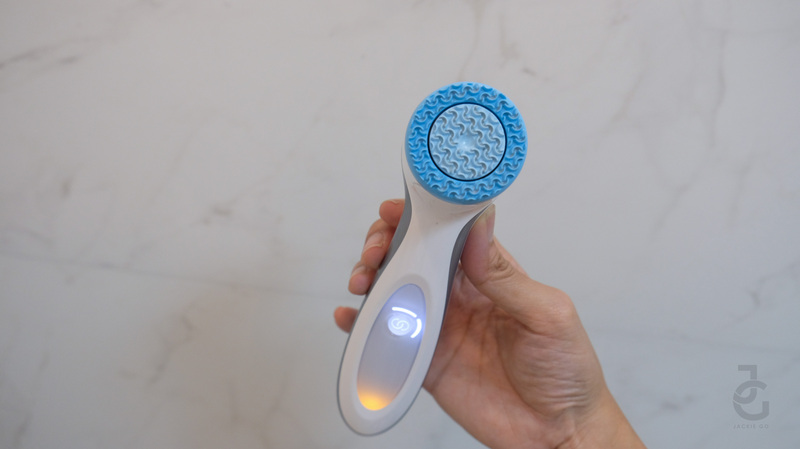 “Lumi” stands for luminous and emphasizes the initial benefits that using the device and products will have on your skin. 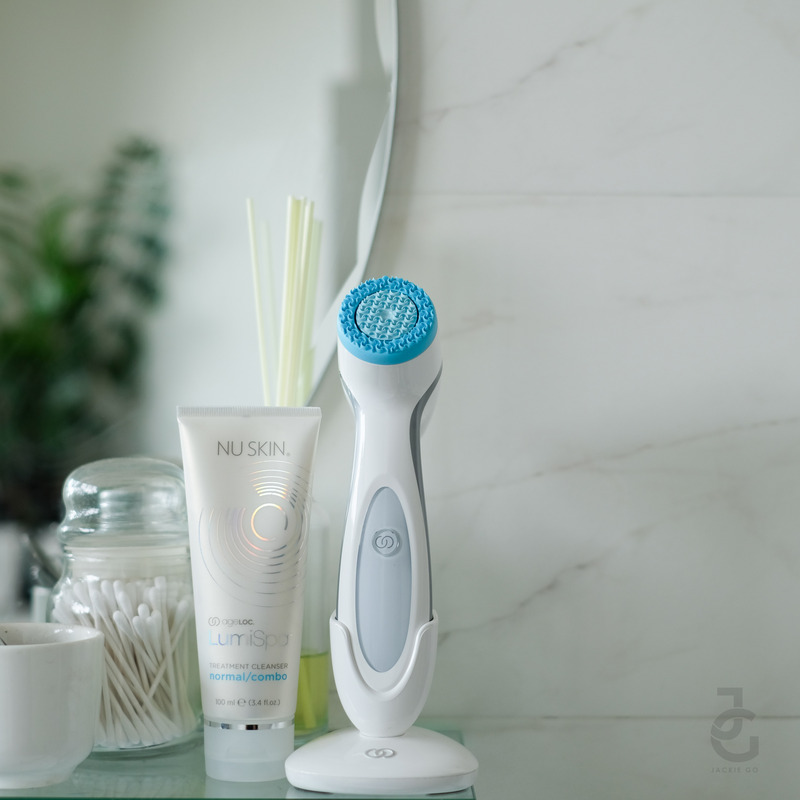 “Spa” reinforces the fact that the device, treatment heads, and treatment cleansers will deliver spa-quality results every time you use them. Dual-action delivers dramatic skin renewal and deep cleansing. Not only does it cleanse it also helps slow down skin aging. It is suitable for anyone who wants to minimize visible signs of aging or those who like maintain youthful skin. It activates skin cells and proteins to produce more collagen which in return gives anti-aging benefits. One can use it twice a day as part of his/her daily skin care system–morning and night. It’s super easy to use. The device itself runs straight for two minutes (30 seconds on each of the four areas of one’s face). It’s safe for pregnant women to use. Though it’s best to seek doctor’s approval for trying new skin care regimen during this period cautiously. You can use it while in the shower. Yep! It’s waterproof! All the more reasons for you to indulge into your skin care regimen. Charge it for 12-14 hours and use it for days! In my case I was able to use my ageLOC LumiSpa for six days, twice a day. It removes daily grind, pollution, oil and makeup and it also pumps pores for improved cleansing extraction. Sweeps away rough skin and increases cell turnover and stimulates tired skin. The orange pulsating light indicates that the device needs to be charged. It turns white when it’s charging and it becomes solid white when it’s fully charged. Each bar of light has a corresponding haptic/vibration that indicates a quadrant of your face making it easy to know when to switch from one part of your face to another. 127 is ageLOC LumiSpa’s formula for great skin. 1 step in 2 minutes equals 7 benefits. 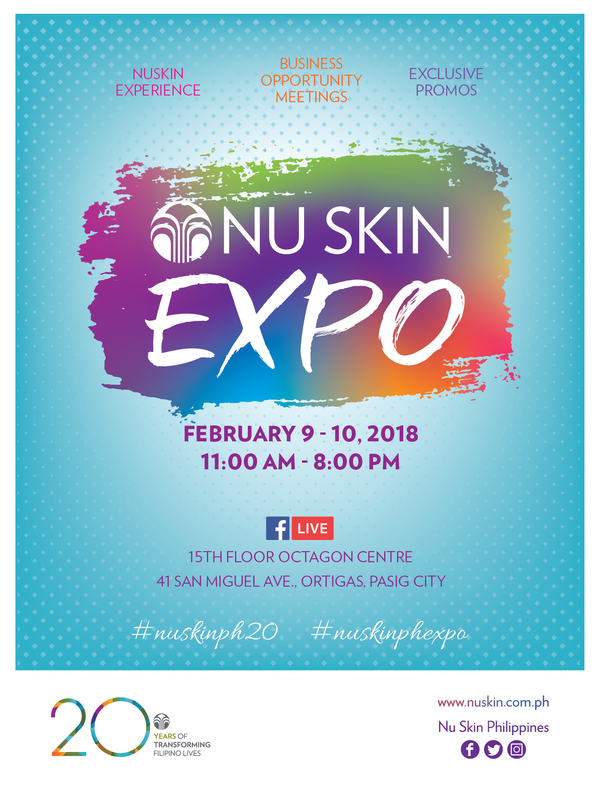 If you wanna know more about ageLOC and it’s other products pop up at #NuSkinPHExpo happening on February 9-10, 2018. So happy I discovered ageLOC LumiSpa. It’ll be available in the market by March 2018 for Php 14,000 for a set of device and cleanser. For more information follow Nu Skin of Facebook.